I have dreamt of being a writer since I was a little girl. I remember the very first book I wrote. It was about these sisters who drive around in their cherry red convertible. They went to school and came home and watched T.V. I was ten when I wrote it. And it had drawings. Somewhere along the way I believed there wasn’t much money earned in writing, so I chose a different career path after high school than the one I really wanted – the field of writing. I earned my degree from Arizona State with an emphasis in business and design studies because I dreamed of being a business woman with the corner office somewhere on the seventeenth floor of a high-rise. It turns out that I had a knack as a saleswoman, but I often wondered how I could more effectively, poignantly even, reach out to my community in a positive way. The answer is through writing. I dream of reaching even one single soul in hopes to make a positive difference in her life through my words. 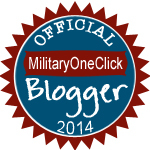 And so this has led me to blogging about happiness in and out of the army. Along my journey into this field, I have come across many books about how to thrive as a freelance blogger, but none compare to The Art of Freelance Blogging in terms of quantity and quality information. Kevin Muldoon offers such wonderful insight into the skill, that I find myself revisiting several of my highlighted exerts when stuck in a “well, now what?” situation. The resource list he provides is extremely detailed and that section alone is worth the money of the whole book. 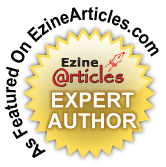 He has the personal experience and has put forth the effort to hunt down everything you could ever need to know to be a thriving blogger. I highly recommend this book to anyone interested in blogging for others, or even blogging for hobby. It truly is a diamond in the rough. 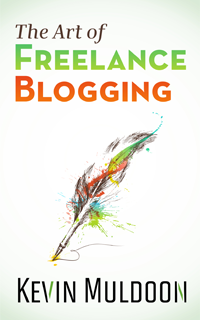 To purchase your copy of The Art of Freelance Blogging by Kevin Muldoon, and to read my personal product review, please visit Amazon.com. Thanks for the kind words Erin. It is always inspiring for me to read that my book helped someone. I don't know how you are finding time between packing and hanging out with your two girls to write blogs right now but KEEP IT UP! :) Good job lady!